We are a traditional shoe repairs that can undergo most jobs that are handed to them. From a simple re-heel to a full on leather long sole and heel to bring those favourite soles back to life. 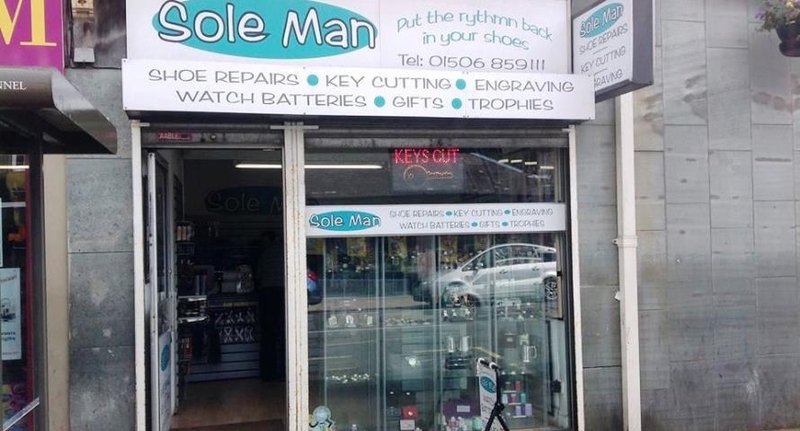 Sole Man provides a prompt, reliable key cutting service while you wait. We hold a large range of household keys and fully capable of cutting keys to code and cutting a range of security keys. We also do key cutting for cars. Do you need a new watch battery or replace a worn out strap? Then look no further than Sole Man, we have the experience and knowledge to replace virtually any battery in most makes and models of watch in minutes. Sole Man engraving services can engrave a large range of materials for precious metals to plastic and fine crystal glass. We specialise in trophy engraving for sports events or corporation team building days. We can also engrave gifts which include tankards, hip flasks and jewellery. We have a wide range of shoe care products available including polish, shoe laces, insoles, shoe horns and brushes.